Description: Located in the heart of downtown Thurmont, Maryland, this 34,000 square foot retail shopping center, anchored by a CVS, is one of the few existing in the area. Annual Average Daily Traffic Count of approximately 8,500 along N. Market Street and the center is located just minutes from Route 15 which has an AADT of approximately 30,000. Thurmont Plaza has 8,500 square feet of available space, in suites as small as 1,200 square feet and as large as 4,800 square feet. All leases are triple net and rent pricing is dependant upon tenant improvements. 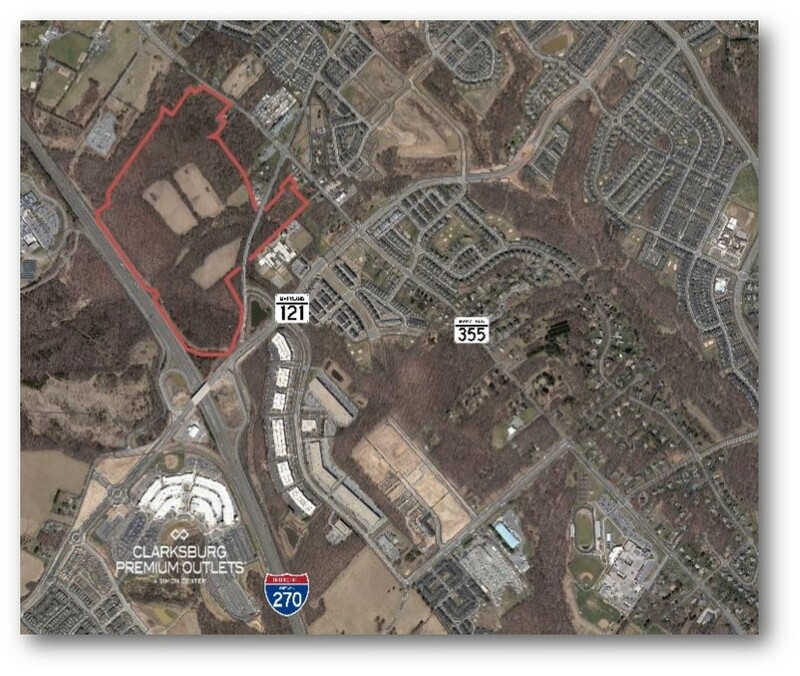 Description: HOGAN is pleased to present the exclusive offering of a high-density development opportunity inside the Beltway in Suitland, Prince George’s County, MD. Bedford Crest is conveniently located near three metro stations (Suitland, Branch Ave and Naylor Rd) with easy access to Branch Ave, Suitland Pkwy and I-495. Description: Rare opportunity to purchase 97.12 acres of residentially zoned land located in the northeast quadrant of I-270 and Clarksburg Road, conveniently located just 30 miles north of Washington, D.C. Future residents will have incredible shopping opportunities at the nearby Clarksburg Premium Outlets, as well as Harris Teeter at the Clarksburg Village Center. Upscale dining, retail, entertainment, and services are located just minutes away at the Clarksburg Town Center. 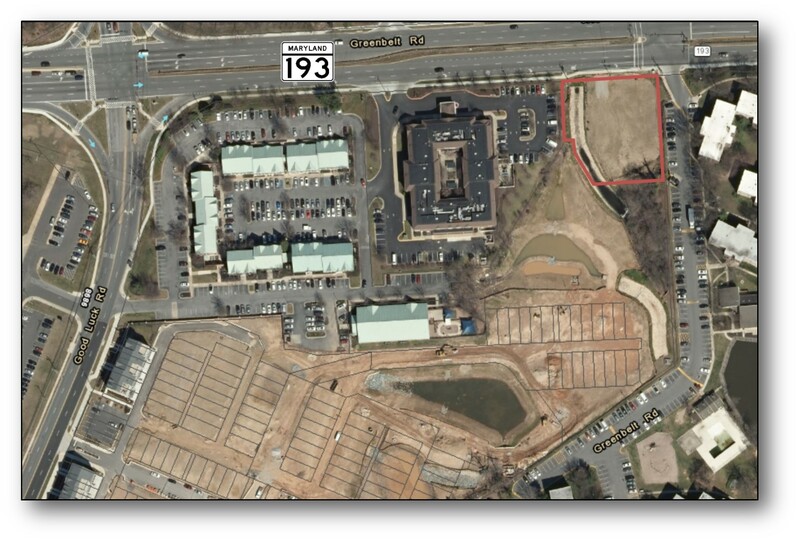 Description: HOGAN is pleased to present this development opportunity in close proximity to Washington, DC and Virginia with frontage on the Capital Beltway and minutes away from four different Metro stations. Potential Use: Rural Residential (RR) zone allows for low density single family dwelling units, bed and breakfast, family day care and private school among other uses. Zoning: W1 (Industrial Park District) - Allows for business/office complexes, automobile services, light/general fabrication, manufacturing, and assembly uses, horse or recreational facilities, religious facilities, child care centers, various retail establishments, and more. Description: Last remaining development parcels at the Brandywine Crossing Shopping Center behind Costco, Target, and Safeway. I-1 (light industrial) zoning allows for self storage, medical office, hotel, industrial, or residential (apartments, townhomes, senior, etc). Description: 13.4 acre assemblage conveniently located off Ritchie Highway, just ½ mile south of the new Harris Teeter anchored Magothy Gateway Shopping Center. - Sketch plan approved for 32 single family lots with final engineering underway. - Record plat approval expected in 2019 with lots averaging 6,600 SF (all lots can accommodate 52’ wide product). 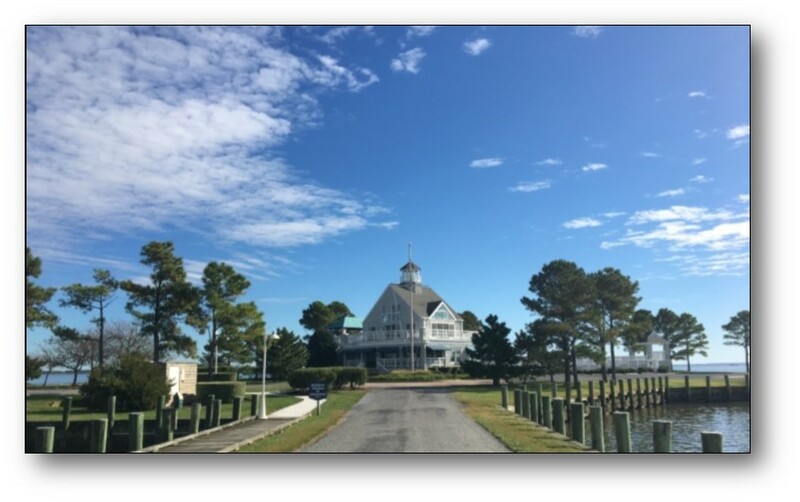 Description: Developer liquidation of property within the waterfront luxury community of Tilghman on Chesapeake including improved lots, marina, model home and acreage. Community development work is largely complete, and lot inventory is largely sold and improved with occupied homes. Price is discounted for investor sale. Description: Zoned, multi-family apartment land, located adjacent to the Landover Metro Station. There is no limitation on number of units per the zoning. Buyer can go more dense and greater than 4 stories if desired. 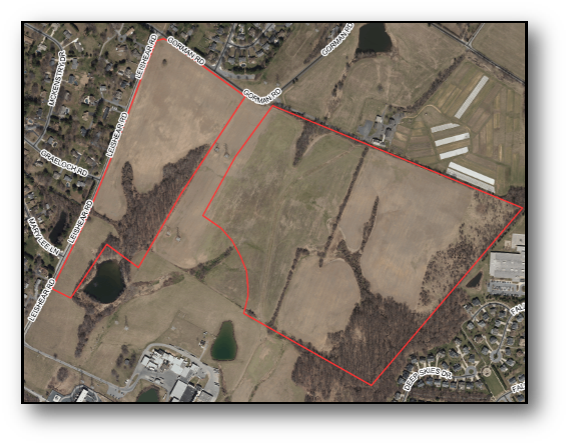 - Location: Adjacent to Landover Metro Station; direct access to US-50 and Route 202; and 8.9 miles from Washington, D.C.
- Overlays: Located in a Community of Opportunity, Qualified Census Tract, and Priority Funding Area. Description: Monocacy Gateway is a 77 acre light industrial and retail project in Frederick City, MD adjacent to Frederick Airport. Property is 51.1 miles to BWI Airport, 54.0 miles to Port of Baltimore, 32 minutes to Rt. 81, 46.0 miles to Washington, DC. Description: 16 recorded single family detached lots plus open space parcels ready for a developer/builder. Buyer responsible for Public Works Agreement, posting and replacement of bonds, grading permit fees, and all site work. The project has all school seat and public sewer allocations in hand. - Approved Plans: Available in Due Diligence Folder. Contact for access. Description: Clinton Crossroads II is an approved 17 lot single family development, located on Lusbys Lane in Brandywine. The property encompasses 10.44 acres of RR (Rural Residential) zoned ground, and sits adjacent to Clinton Crossroads I, and has no streams, wetlands or floodplain. Water and Sewer categories are W3/S3, thus served by public systems. Seller has located and imported fill dirt to minimize any grading shortages, and a current development estimate is in hand. Bulk-sale preferred, although some engineering will need to be updated. Clinton Crossroads I units sold in the high $400's in 2014, so strong current comps to support sales. Bank Owned Property! Former Tavern/Bar! Description: Bank owned freestanding 2,680 sf Bar/Tavern sited on .34 acres zoned C1. Includes many fixtures, furniture and equipment that may be on site. Bank owned sale, as-is, where-is, without warranties or representations. Description: Project has Detailed Site Plan approval for 18 duplex units. The property is located on Bradbury Avenue, South of Pennsylvania Avenue and immediately adjacent to the Bradbury Recreation complex. Description: 121 acres of prime land zoned for residential or mixed-use. 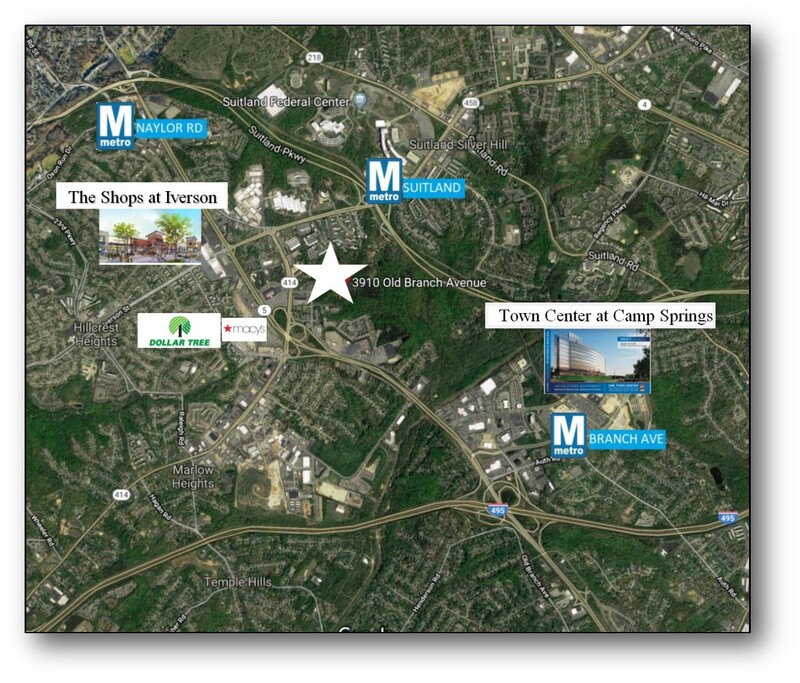 Located to the east of Maple Lawn with convenient access to Route 29 and I-95. Property can be entitled utilizing existing underlying zones or through the MXD-3 process. Description: Phase one of master planned community located 10 minutes from Easton in Talbot County, Maryland. "Easton Overlook" is a multiple phase community with initial sections planned for 250 lots with single family, townhome and villa products. 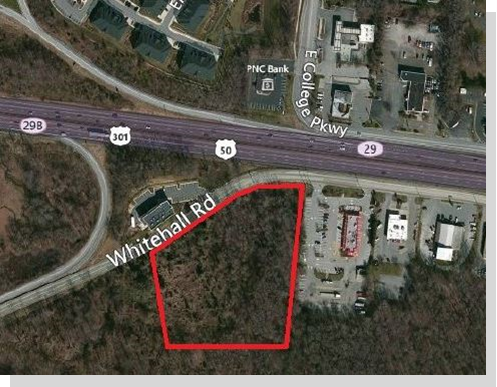 Description: Located on Diffenbach Court and Indian Head Highway in Indian Head, Maryland on 19.66 +/- acres of Town Center Mixed Use (TCMX) land. Conceptual plan approved for 164 residential units. 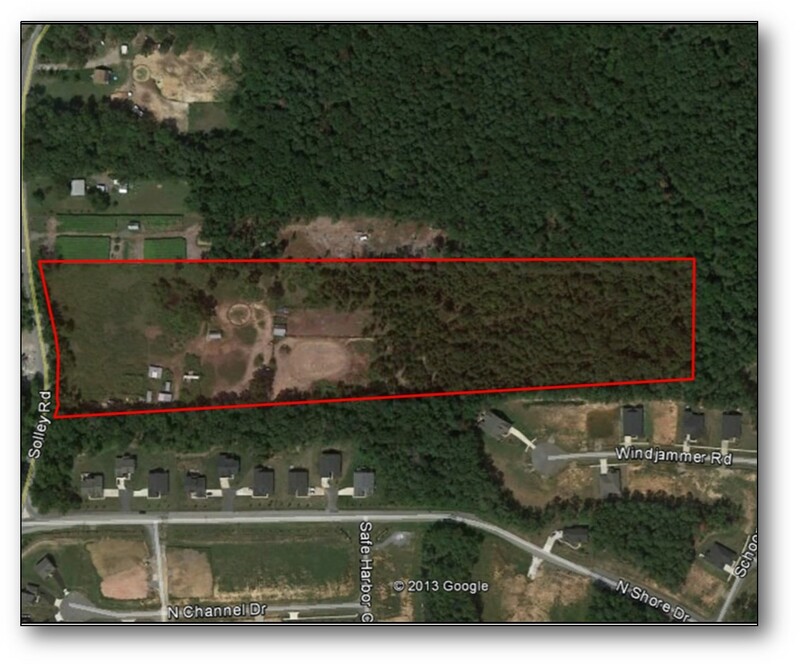 Description: 5.32 acres located on New Freetown Road in Pasadena, Maryland. Zoning allows for a max density of 26 single family homes. - Zoning allows for single family detached, assisted living, church, etc. Description: 17.3 of “RM” Residential Multifamily & RS zoned raw land in Hagerstown, Maryland, with access on both, Massey Boulevard and Hickory School Road. 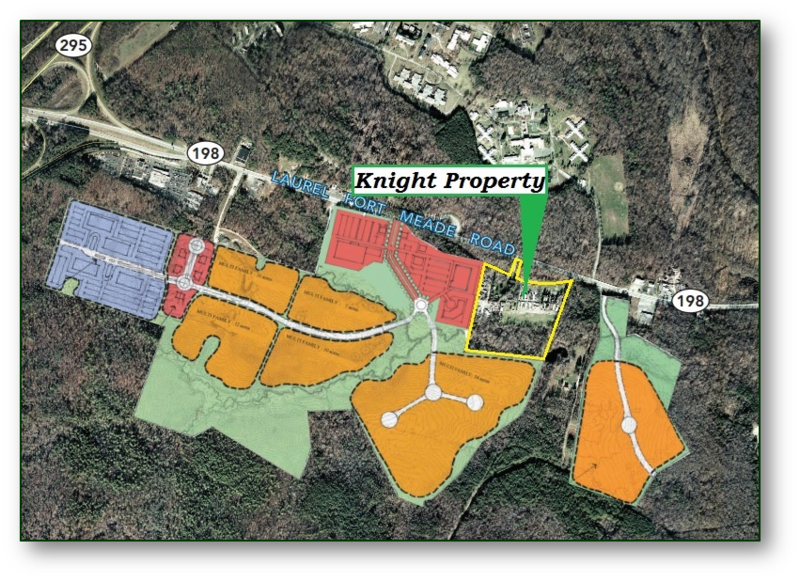 - +/-17.3 Acres, high density residential zoning in place! - Conveniently located nearby I-70, I-81, numerous retail amenities including Target, Valley Mall. 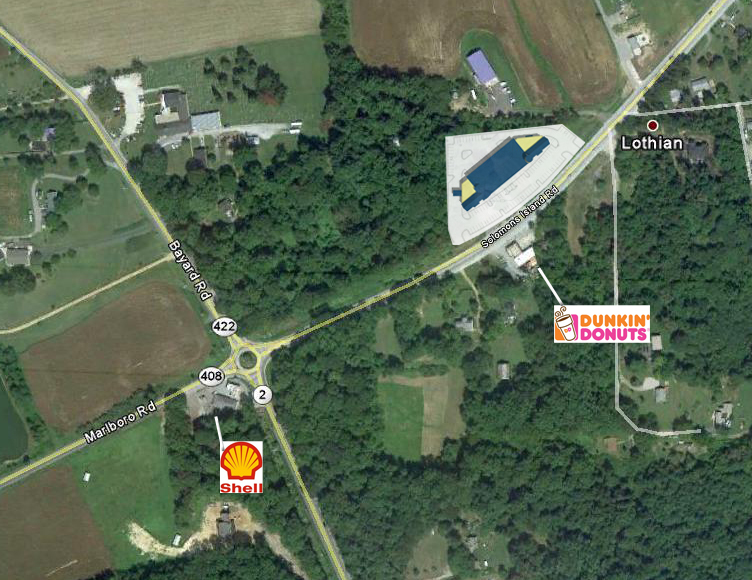 Description: Located off Crain Highway just south of Route 301's intersection with Route 5, across from the 800,000 sq. ft. Brandywine Crossing retail center featuring over 40 shops and restaurants. 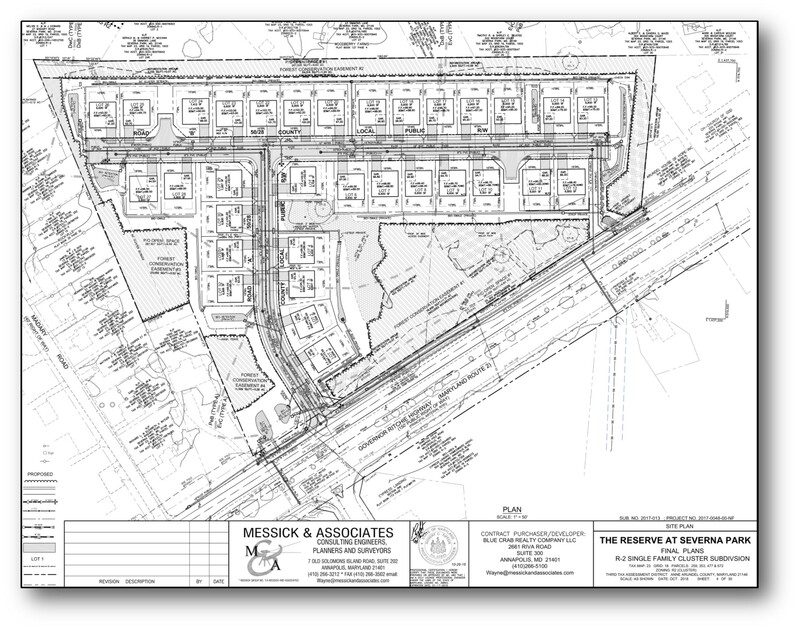 Preliminary Plan of Subdivision for 104 townhome lots submitted February 2019. Description: 250 unit, surface parked, multifamily development opportunity in Upper Marlboro, Prince George's County, Maryland. Description: Recently re-positioned in the marketplace, 137 Mitchells Chance is a four story office building located in the Main Street at South River Colony Shopping Center; ideal for professional and/or medical office use. $100 Gift Card for Qualified Showings! Description: The subject property is sketch plan approved for 61 townhomes. 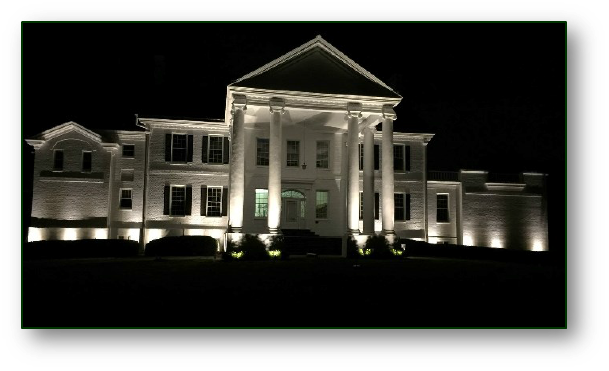 Description: Newly renovated exterior of historic mansion, with 16,000sf of interior space. Additional land available for future expansion. Description: Initial development work completed - seller has cleared, rough graded, and stabilized pad site with water sewer lines stubbed to parcel. Preliminary storm water management also installed. Zoning: CO - Commerical Office allowing a wide range of uses such as medical or professional office, bank, etc. 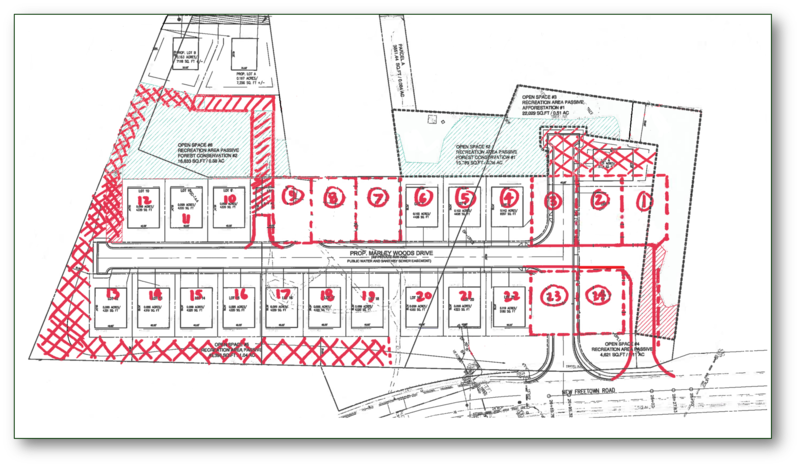 Entitlement: "Parcel 1" on Plat 5 of the Wood Glen subdivision. Plat Book SJH243, Plat Number 88 Recorded on 12/15/2015. Preliminary Plan and Detailed Site Plan Approved. Development: Seller to deliver a cleared, rough graded, and stabilized pad site with water sewer lines stubbed to parcel. 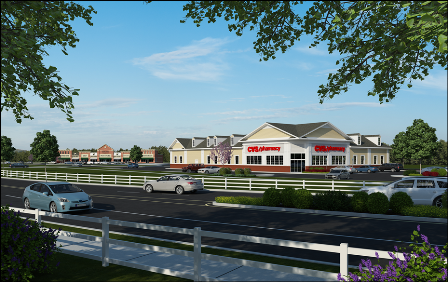 Description: New construction shopping center located at the gateway to historic Middletown. Join CVS, Dunkin Donuts/Baskin Robbins, Fratelli's Italian & Seafood, Harmony Nail Salon, and Cinco de Mayo in this exciting new project. Highly visible center with inline retail rental space availability or pad sites. Description: High visibility pad site for various commercial uses available located off of Route 50 just west of the Chesapeake Bay Bridge. - Ideal for fast food, restaurant, office, religious facility, day care center, etc. Hitching Post Plaza - Now Leasing! To-be-built retail/office neighborhood center. Highly visible location on heavily trafficked commuter route with approximately 20,000 vehicles per day. End cap has drive-thru potential - perfect for a bank or coffee shop. Project is permit ready with construction planned for 2016.